It is the 3rd birthday of csschopper.com on 12th Oct 2012. When it is the occasion to celebrate one more successful year of this prosperous journey of CSSChopper then how we can forget our honored customers. 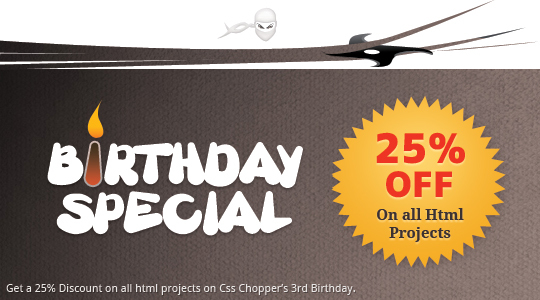 On the day of the grand celebration, CSSChopper is appearing with the birthday bonanza by offering 25% discount with coupon code 0CWCHZIC on its HTML projects. The discounted projects comprise HTML, HTML5 and Responsive Web Design. 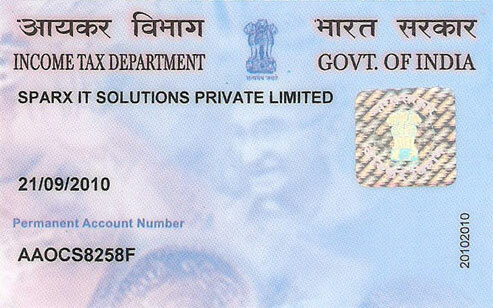 This must to avail deal will be valid on 12th Oct 2012. Thus, it is not the time to ponder on other things but it is the right time to utilize these useful 24 hours and chop up the cost up to 25% from the grand total of the invested money. Make hurry and be beneficial of this “”Birthday Special” deal to get 25% discount on varied projects. May the success that has come the way today lead csschopper to a bigger achievement in the years to come. May the 3rd successful year add more success to the journey of CSS Chopper. I want to congratulate it and want to say that this has positioned itself a well-known web development company that is worth-admiring. Whatever the occasion is, CSS Chopper always keeps the interest of its clients on the top priority. This time on the day of its 3rd birthday, it has appeared with super saver bonanza. Keep it up! Here comes the celebration day now its a party time. I wish you for your future to grow like this and we together celebrate this occasion with full enthusiasm as today. Proud to be a part of CSSChopper. Wish you all the very best!!!!!!!!! CSSChopper always considers its clients benefits on every special occasion. 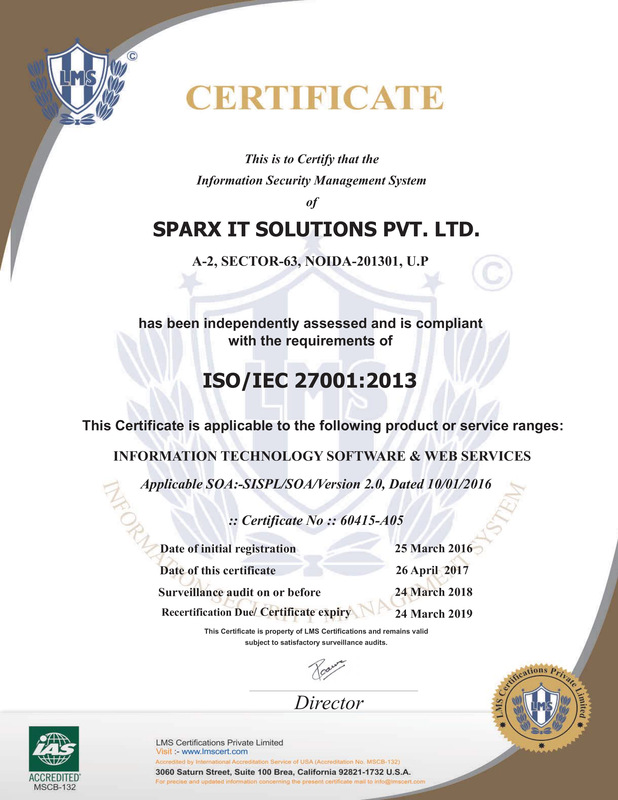 May this great day become greater for the further journey of this credible web development company. congo! CSSChopper on completing three successful years with being the best service provider. Move smart and hit the max this year too like past three years. Congratulation! CSSChopper always seeks to cater its services ensuring best quality of standards and put best efforts to provide maximum benefits and achievements to its clients. Imparting great pleasure CSSChopper has successfully achieved its 3rd year and still shining as a star. Keep it up! Millions of congratulation to CSSChopper . 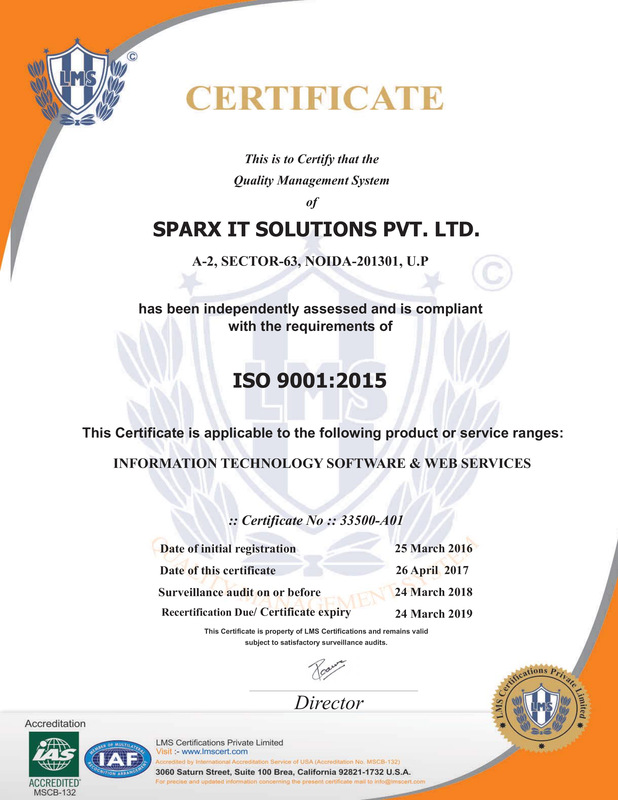 I wish this will keep rocking with multiplying success and provide its splendid services to all its clients across the Glob…. Congratulations CSSChopper! We are so much appreciating your excellent work and services. [21-09-12 14:54:31] Maaike: Well you succeeded!! We wish you all the best and look forward to continue working with you! 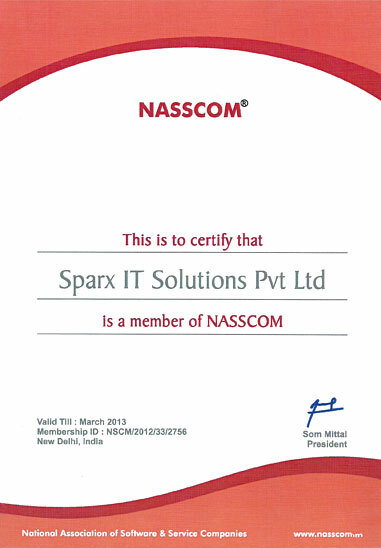 The sincere efforts of the Sparx Team and the supports of our Client have made us achieve this success in 3 years. 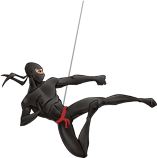 We are very happy to see our Ninja growing… And we heartily wish and congratulate our Ninja, Sparx Team and our Clients on the Ninja’s 3rd birthday. I have dont over 20 projects with CSSChopper to date and i am pleased to report that each projects was delivered on time and to the expectations of my team. We couldn’t have done it without you guys.